Mock Banana Ice Cream with a topping of peanut butter mixed with flax oil. This recipe is a good way to use flaxseed oil. The banana will give you a potassium boost. Put the chunks of frozen banana in the bowl of a food processor and pulse until bananas are mashed. Process the bananas until they go from being mashed to creamy. This will take a few minutes, so be patient. Scrape sides of bowl often. In a small bowl, stir together the flaxseed oil and peanut butter. If you don't want to use a full teaspoon of the oil you can start with slightly less and work up. 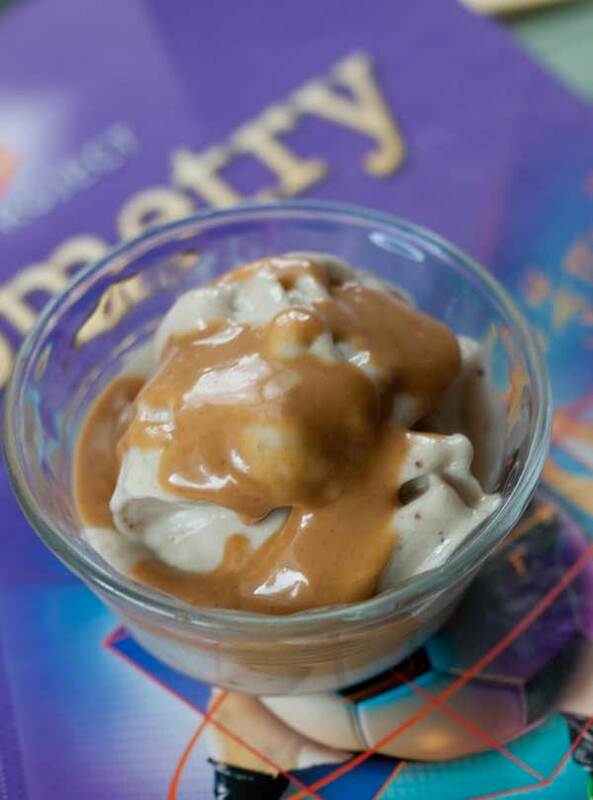 Put the ice cream in two dishes and spoon peanut butter over the top.